Having your car serviced regularly and according to the maker’s schedule is vital to ensure you enjoy trouble-free motoring. But how do you find a garage that’s going to do the right job for the right price? Follow these tips. The sort of garage you want depends on the age of your car. Although not obliged to use franchised dealerships in order to maintain the validity of their warranties, many drivers choose to do so for peace of mind as it does make claiming against the guarantee easier. For drivers whose car is out of warranty, it makes sense to visit a (usually) cheaper independent garage. The majority of main dealerships are franchised by the manufacturer in question. The result is they get all the technical bulletins about the relevant cars first and arguably know them better than other garages because they spend their working lives servicing just that brand’s models. However, main dealerships generally have larger premises to maintain and historically they’re more expensive than independents. According to a study by consumer association Which?, franchised dealerships will charge an average of £221.54 for a major service. Independents meanwhile work out at nearly 18 per cent less, costing £182.32. However, franchised garages are waking up to the fact they’re losing cost-driven customers with older cars and are starting to offer much more competitive prices for models that are outside their warranty period. One of the best ways to find a reliable garage is by word of mouth. There are also numerous rating schemes for garages. These vary in quality about as dramatically as the garages themselves. Garages sign up to some by buying a product; others offer customer ratings of so few garages they’re largely meaningless. Two, however, are worth looking at. Motor Codes is as close to an ‘official’ scheme as there is with backing from the Government’s Trading Standards Institute. Garages that sign up are inspected and have customer ratings that get around 10,000 contributions per month. 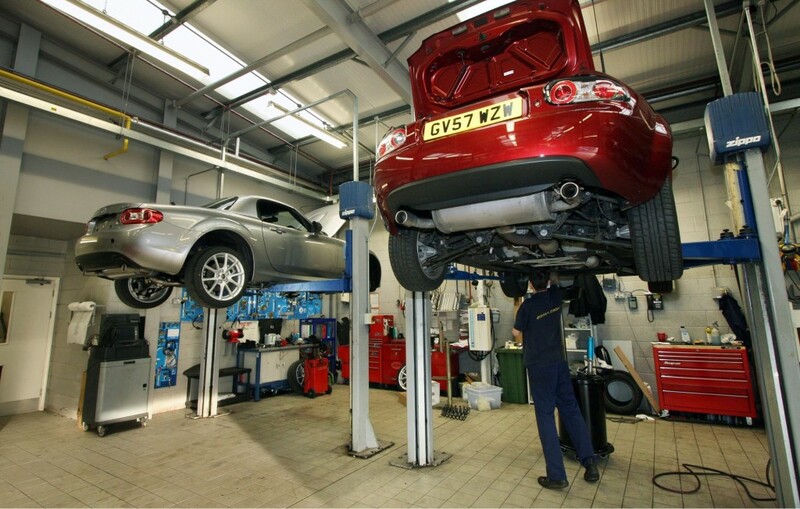 The other is Bosch Car Service, whose member garages must also comply with Trading Standards Institute guidelines. By ringing around several garages, you’ll get a good feel for the price of a service in your area. Make sure you note down who you’ve spoken to so you know any quote will be honoured, and give them the correct make, model, age and mileage of your car. This will enable you to get accurate, like-for-like quotes from every garage. Some main dealers will match the price of independents within a certain distance. Whichever garage you choose, there are some important things to ask before you give them your car to work on. Get a quote for the service and make sure you know what that quote includes. Ensure that if they discover something wrong with your car, they’ll call to discuss how much the repair will cost without simply ploughing ahead. Also, ask if they carry out the service in line with the manufacturer’s procedures and ensure that they use original parts, or those of equivalent quality rather than inferior pattern parts. Before you leave the garage, make sure the service warning light on the car’s dashboard has been switched off. You should also ensure the service book has been stamped. A complete service record will help ensure your car is worth as much as possible when you come to sell it.